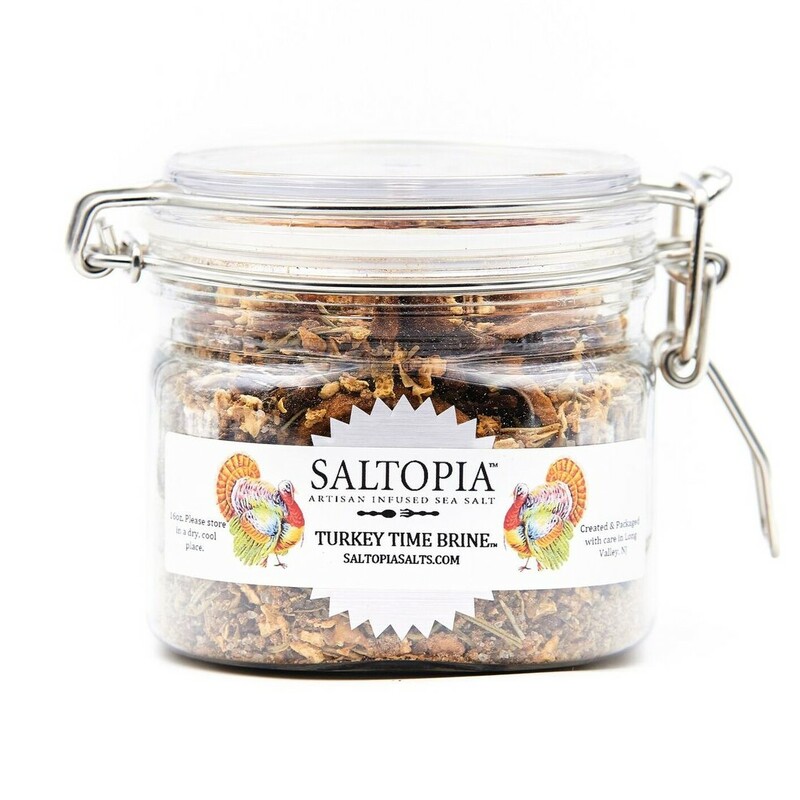 Our BEST selling TURKEY TIME BRINE is a MUST HAVE for the holiday season! This delicious blend of infused sea salts, herbs, spices and fruit slices offers your holiday bird a blast of phenomenal flavor! Once you try it - you won't be able to live without it come holiday turkey time! It's also amazing on pork chops and other roasts! 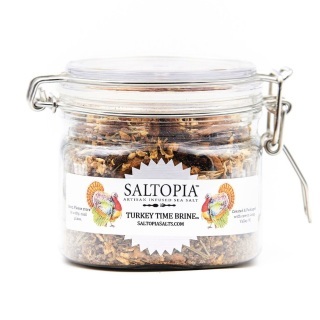 For the dry-brine method: blend the contents of the Turkey Time Brine in a blender or food processor. If frozen, defrost and thoroughly wash your turkey or chicken. Take the well-blended brine and rub it all over the bird, covering it completely in the brine mixture. Place on a dish or into a bowl and cover with wrap or foil. Place into the refrigerator for at least 8 hours before cooking. You do not have to rinse the brine off once you are ready to cook the bird.